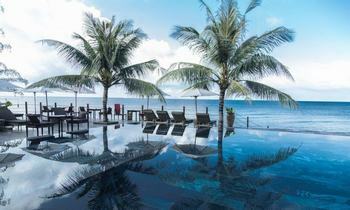 Among the most beautiful beaches of Vietnam, Phu Quoc and Nha Trang are famous to both domestic and foreign travelers. So, what features have made them so popular? Choosing a destination for an ideal holiday is hard sometimes due to incomplete knowledge about the place. For a vacation in Phu Quoc or Nha Trang, each site brings a distinct beauty and attractions that you should experience once in your lifetime. And here are the reasons. Where is Phu Quoc and Nha Trang? 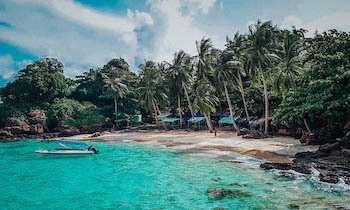 Phu Quoc, also known as Pearl Island, is the largest in Vietnam and even the largest in the 22 islands here, located in the Gulf of Thailand. It together with other islands constitutes Phu Quoc island district of Kien Giang province. 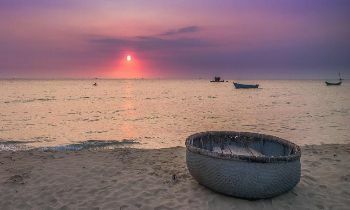 Phu Quoc is 120 km from Rach Gia city and 45 km from Ha Tien city. 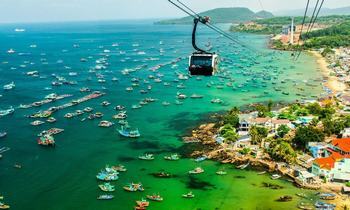 Nha Trang is a coastal city and tourist center of Khanh Hoa province, Vietnam. 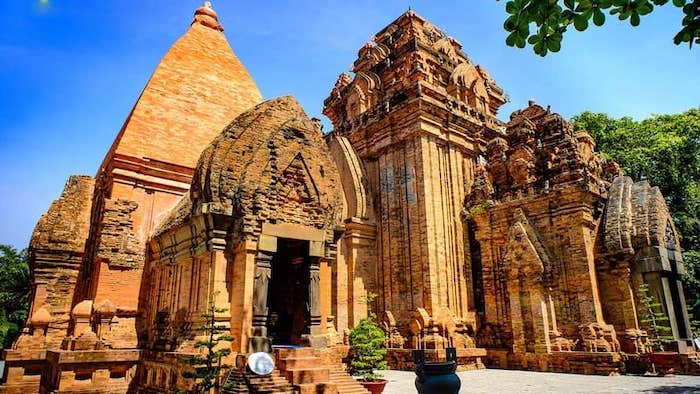 Before becoming a part of the country, Nha Trang belonged to Champa, so the relics of Cham people still exist in many places in Nha Trang. Nha Trang is well-known as the pearl of the East Sea, the Green Pearl for its natural value, beauty, and climate. 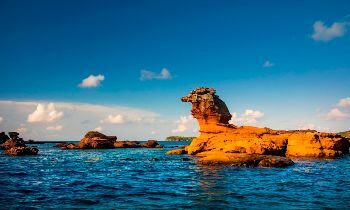 If you are a person who doesn’t like the noise and bustle, then tours in Phu Quoc island are very suitable for you because it is an isolated island. 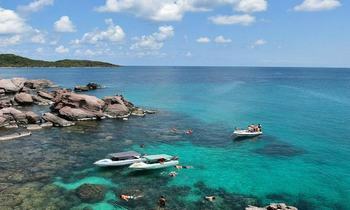 Phu Quoc is indeed heaven of nature with various attractive beaches and islands. Seawater here is very clean, fresh, and green as emerald. In 2006, the UNESCO had recognized the Kien Giang coastal and marine biosphere reserve included this district as the world level. Coming here, not only can you enjoy the fresh space of nature but you also have a chance to see the colorful world of diverse coral reefs and other marine creatures. The most outstanding ones include Sao beach, Khem beach, Long beach, Mong Tay island, Gam Ghi island, etc. 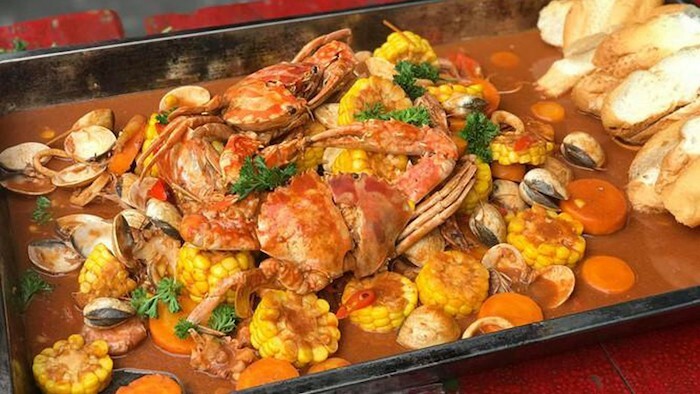 For specialties, you should enjoy herring salad, Ham Ninh crabs, grilled sweet sea snails with chili, roasted scallops with onion, grilled egg squids, and grilled horn scallops, etc. Some famous addresses are Dinh Cau night market, Duong Dong town center, and restaurants along 30/4 street. With Phu Quoc night market and Duong Dong town, the island at night is also exceptionally vibrant. They are places where to party in Phu Quoc. You can easily find a corner for yourself in this exciting town and have an unforgettable dinner here. 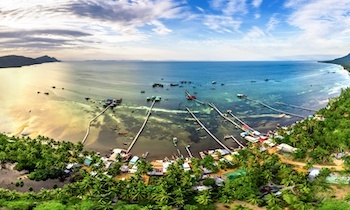 If choosing to travel to Phu Quoc, you can visit places such as pepper gardens, Phu Quoc fish sauce craft of making, pearl production facilities, and especially Ham Ninh ancient fishing village. Ham Ninh will offer you an exciting experience of being a fisherman to catch fish, oysters, and enjoying tasty crabs. If you get here in the early morning or afternoon, you will have a chance to admire the beautiful and poetic scenery of sunset or sunrise on the beach. Compared to Phu Quoc, Nha Trang is somewhat more accessible due to convenient location and transportation. It is on land so that travelers can come here in many ways such as a motorbike, passenger bus, train, or airplane, etc. Also, moving between places in Nha Trang will be more budget and effortless because they assemble in a small region. Moreover, almost the accommodations are close to tourist spots and city center. 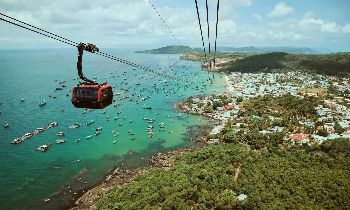 While Phu Quoc only has wild beaches, islands, night markets, zoos, and traditional production facilities, types of tourism in Nha Trang is varying from eco-tourism, cultural tourism to spiritual tourism, recreational tourism, etc. In here, you can have many options for your holiday such as Vinpearl Land entertainment area, Institute of Oceanography, Po Nagar Tower, Po Nagar Tower hot spring, beautiful islands (Hon Mun, Hon Mot, Hon Tam, Tri Nguyen Aquarium), and Long Son Pagoda, etc. Besides, you can also look to nearby tourist destinations such as Yen island, Monkey Island, Binh Ba, and Binh Hung Islands, Yangbay Waterfall, Ninh Van, and Phong Van Bay which are no less attractive than the city. 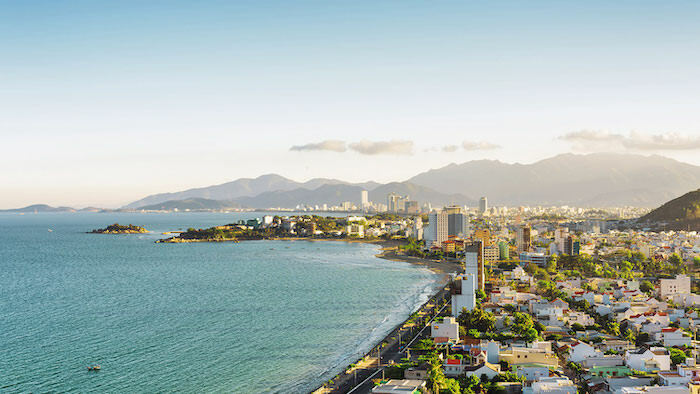 Located in the Center, Nha Trang is an intersection in the food of many different cities and regions. Coming here, don’t forget to try the delicious Ninh Hoa grilled sausage, grilled chopped fish, Hung Cau Dua ducks, squid pancake folded in half, and jellyfish noodles, etc. Thanks to different conditions, Phu Quoc or Nha Trang is always on the bucket list of those who love to have a wonderful vacation on the beach. If you want to seek further information about Vietnam tours, feel free to contact us or visit our website. Like and share the article if you find it helpful. Thank you. 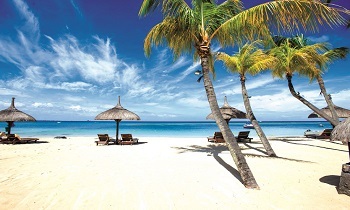 NAVIGATE Which one will be your next Vietnam destination, Phu Quoc or Nha Trang?